The West Africa Power Summit 2017 hosted by Vale Media Group, the Sub-Saharan African B2B events company, will provide a platform to address some key challenges of investments for green energy power initiatives, developing new green power infrastructure, integrating green power assets to ageing grid infrastructure and regional power pooling. “With global investment into green and renewable energy projects hitting $286 billion dollars in 2015, Africa is set to become a shining light for the renewable future. We are already seeing that the cost for renewable energy on a parity with fossil fuels so there is no need for price objections to favour more traditional dirty generation capacity over the likes of greener Solar PV, Hydro, Biomass, Gas and Wind. Our WAF Power Summit will bring together all of the leading players from within the ECOWAS region to meet and discuss the key topics and challenges when adapting a greener mix of energy to West Africa. 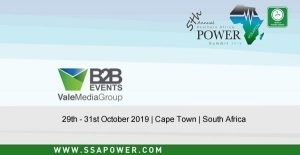 Our event transcends the conference and exhibition hall and allows tier 1 decision makers a chance to meet with their peers in an intimate environment for 3 days of conducive 1-1 B2B meetings, educational workshops and informative roundtables.” – Matthew Hewitson, President, Vale Media Group. Cost effective greener temporary power solutions and much more.. The Summit will bring together Ministries of Power & Energy, State Power providers, Public – Private partnerships (PPP), Independent Power Producers (IPP’s) and key solution providers to tackle some of the most pressing issues within the African Power industry. West African Power Pool, Ministry of Energy and Renewable Energy Development Senegal, Société National d’Éléctricité du Sénégal (SENELEC), l’Agence Nationale pour les Energies Renouvelables du Sénégal (ANER), Energie du Mali SA (EDM), CI Energies, Liberia Electricity Corporation, Volta River Authority, Power Africa and many more. Source: Press Release by Vale Media Group.